The Versailles’s Demi Luxe Shell sumptuous color and haute-couture styling add elegance and refinement to any look. 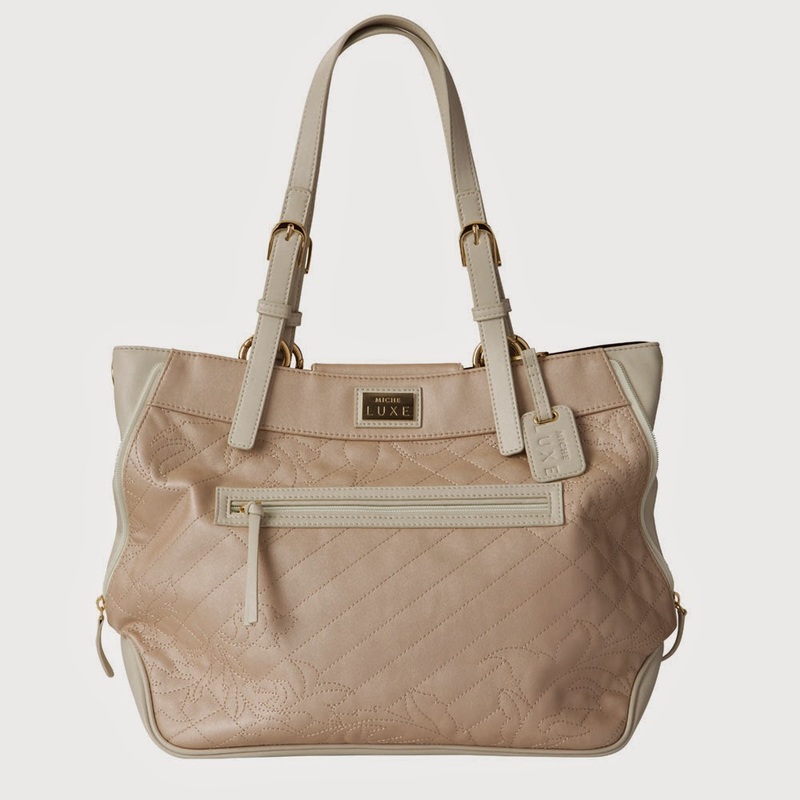 Pale-rose champagne faux leather with a pearlized finish features quilted detailing and pearlized cream accents. Unique side zippers give you the freedom to adjust the silhouette of your bag.Front zippered pocket and gold hardware complete the look.